1) For a great list of calorie burned calculators; Martindale’s Calculators On-Line Center: Part I:I-N – Nutrition. It also includes energy calculators including one site that estimates the energy expended in over 600 different activities. The KCAL-CULATOR is in the runner’s web and allows you to estimate your energy needs. 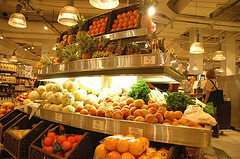 2) For nutrition tips for being athletic in helping to gauge your energy needs: Nutrition on the Move – Nutrition Tips. 3) Calorie Counter helps you calculate your BMI (Body Mass Index) and has many tips about diets available and the foods to eat. 4) “If you’ve looking for information on cutting calories and fat in your diet, achieving a healthy weight, or favorite low-calories, reduced-fat foods and beverages (and the ingredients that make them possible)…you’ve come to the right place!” The Calorie Control Council – Information on cutting calories and fat and achieving a healthy weight. 5) From the Food Network online, explains how to manage your weight in three simple equations: Get Healthy : Low Calorie : What are Low Calorie Diets? : Food Network. 6) Quick Guide to Calorie Needs When Losing Weight has many resources explained such as good protein, good fat, how to reduce calories, general diet nutrition, healthy vegetarianism, etc. 7) Self magazine has fitness calculators divided into three sections: get your best body, eat right, and burning calories. Caloric Needs Calculator in Fitness on SELF.com. For another BMI (Body Mass Index), Basal Metabolic Rate calculator use, lifestyle activity, and other weight loss help, use How Many Calories Do I Need? – basal metabolic rate calculator.